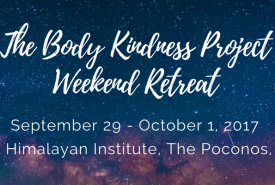 The Yoga and Body Image is committed to building conscious community and highlighting the work that inspiring yogis are doing in their local communities and beyond. 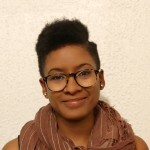 We’re pleased to introduce you to Yoga and Body Image Coalition community ally, Chanelle John. Describe yoga’s relationship to body image. The yoga community is experiencing some important shifts regarding body image. Yoga has been associated with slim, fit and flexible white women for much of its recent history. Yoga product marketing is a very visible example of this. The images perpetuated in these advertising materials do not reflect the populations that practice yoga, or those that could benefit from yoga. That dissonance sends powerful negative messages to people who could be interested in yoga that don’t have “yoga bodies”. 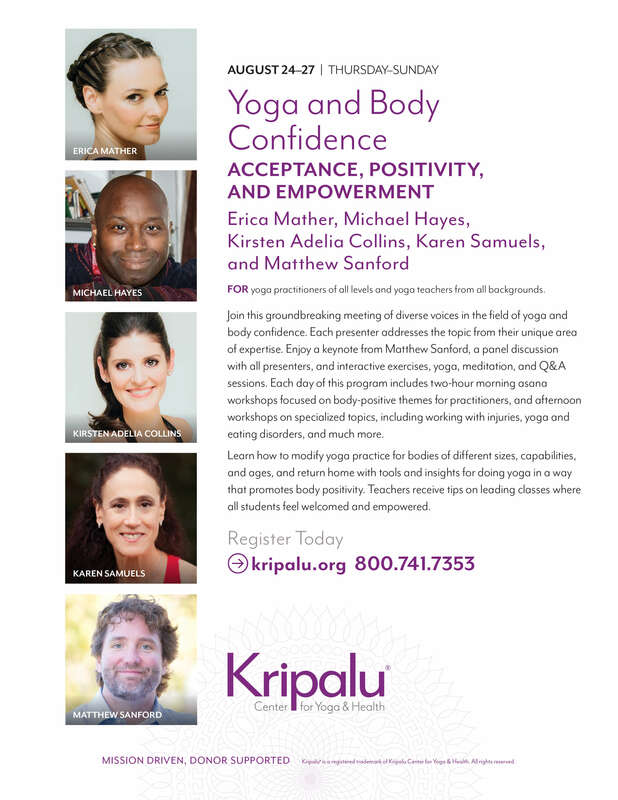 Leaders in the yoga community have a responsibility to practice & promote positive body image. That responsibility can look like many different things: hiring teachers of different shapes, shades and sizes, reaching out to communities that haven’t had access to yoga, having the difficult dialogues about diversity, being mindful of potentially triggering language in classes. Many yogis are starting to do this work, and it’s an exciting time to be in the yoga community. The Yoga and Body Image Coalition is helping our whole community make strides in body acceptance. Ten years from now the conversation will look much different because of the work that is being done here. We’re making it happen! The issues I described regarding yoga marketing are symptoms of a much larger cultural problem. The first thing that comes to mind when discussing a societal shift toward body positivity is assessing the role advertising plays in how we view ourselves. So many companies profit from our dissatisfaction with our appearance. There are whole industries that manufacture and perpetuate dissatisfaction just so they can sell us solutions. This is especially true for women. We need to hold companies and advertisers to higher standards. We need to demand a diversity of images instead of holding everyone to unrealistic ideals. Also, we need to instill these values in the next generation of young people. There has been a focus in the past on boosting children’s self-esteem, especially girls. That’s great, but self-esteem can often be a nebulous concept. Let’s teach them self-compassion, self-love, self-confidence, and body acceptance. A healthy body image is possible with a foundation built from those principles and skills. How does your work address body image issues? I aim to embody body positivity in all of my work. As a yoga teacher, I regularly work with beginner students who do not have a sense of connection to their bodies. I emphasize body gratitude, compassion, and self-kindness in my yoga classes. I truly believe the yoga mat should be a place we come to feel at home in our bodies. As a newer yoga instructor, I try my best to hold space for that sense of personal exploration in my classes. Beyond my yoga teaching, I also blog and speak about the crucial role body acceptance plays in wellness and health. Much of the mainstream discourse around fitness can be misleading and even triggering for people struggling with body image and weight loss. So much of the advice for fitness improvement is based in ideas that disparage the bodies we are in, in order to motivate us for the physical benefits we hope to achieve. This logic harms us much more than it helps us. It’s time for a new “health” paradigm. I’m excited to announce that I’m working on a new initiative called the Body Peace Project. 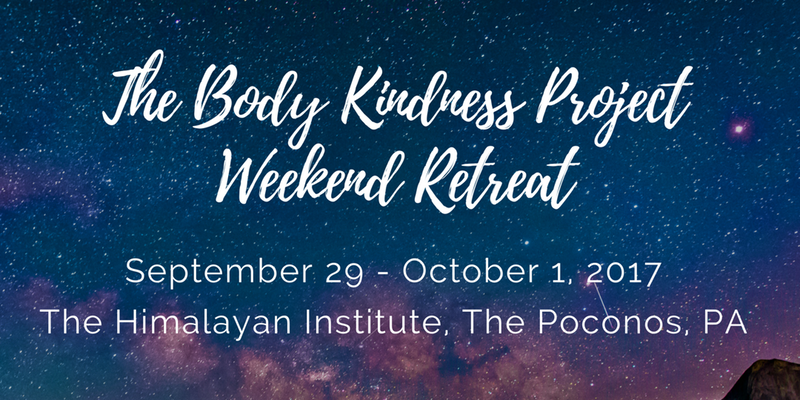 The Body Peace Project will guide people through the process of acknowledging and releasing go those limiting beliefs, while building a health community based on body acceptance. 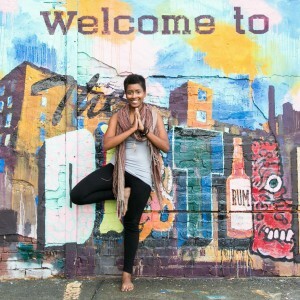 Chanelle Johnis a yoga instructor and wellness educator based in Boston, MA. Her business, Whole Soul Health provides classes, resources, and community for people aiming to live healthy lives. 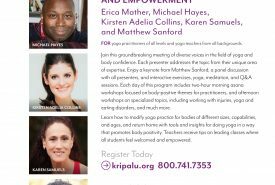 It is her hope to create an empowering environment for anyone looking to practice yoga by providing tools that affirm our unique identities and experiences. With a culturally conscious analysis, Whole Soul Health seeks to provide solutions for bodies of every shade, size, sexual orientation and gender identity. Click here to subscribe to the Whole Soul Health Newsletter.